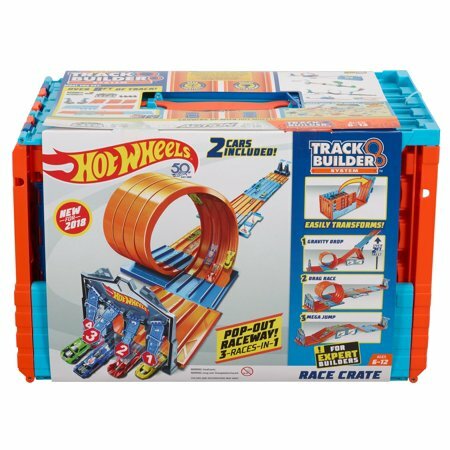 Walmart has the Hot Wheels Track Builder System Race Crate & Stunt Set on sale for $29.97 (regularly $50). Hot Wheels Track Builder Race Crate is the ultimate track and stunt building set in one! 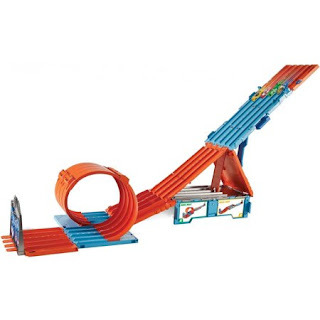 Combines multiple ways to play with 3 exciting and unique races. 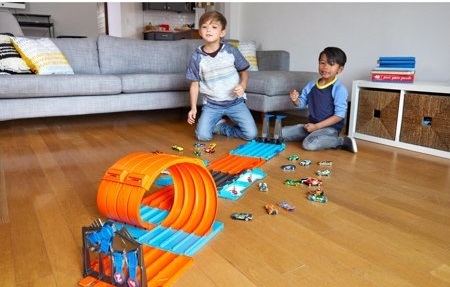 Kids can race, stunt and challenge friends when they transform this super-cool crate into 3 different stunts that include the Gravity Drop, Mega Jump and Drag Race.